The purpose of this site is to provide radio history and intended for purposes of archival preservation and research. Explore the many recordings on this site by using the menu at the left side of the screen. Rick is currently a real estate consultant and previously worked as a senior asset manager and executive vice president for one of the nation's largest Tenant In Common (TIC) real estate investment sponsors and international real estate services provider. At Grubb & Ellis Company his portfolio of commercial real estate assets includes major high-rise & mid-rise office buildings in in various metropolitian areas, including Minneapolis. Rick also is active in professional real estate organizations and has served as the Los Angeles Chapter President for the Institute of Real Estate Management (IREM) in 1998 and on a national level as IREM's Regional Vice President, over seeing the California and Hawaii Chapters, in 2001 and 2002 . Rick has had articles published in The Journal of Property Management and Southwest Real Estate News. 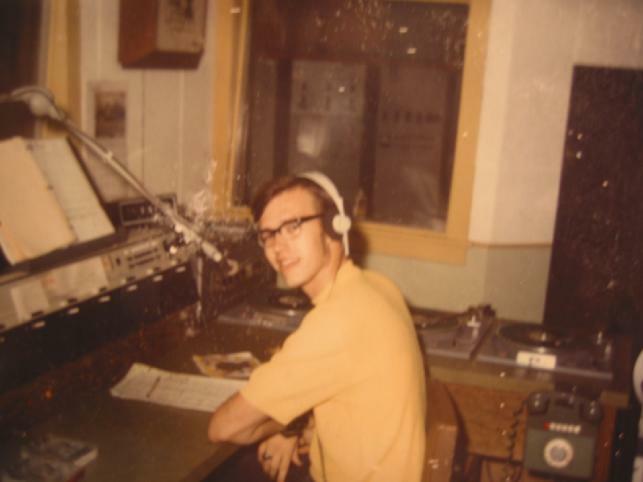 Rick also does a weekly oldies program on WFNU-LP, called Hits and Histroy, which plays hits from the 1960's, 70's & 80's. The program is on the air at midnight Friday and Saturday nights and Live on Monday mormings starting at 8:30 am. The program cna also be heard streaming on WFNU-LP's web site: WFNU.org WFNU-LP is an FCC licensed low power community FM station in St. Paul broadcasting at 94.1 FM and covers 7+ miles from the intercetion of University Ave and Dale Street. You can also listen at the link below. This is an old recording from the 70's of Rick Mason (Burnett) as a DJ at a country station in <?xml:namespace prefix = st1 ns = "urn:schemas-microsoft-com:office:smarttags" />Minneapolis, KTCR-FM at 97.1 MHZ. This was a time in broadcasting that pre-historic CD's (known at that time as 45's and albums) were played by the DJ's. The Station was sold in the 80's and now operates as KTCZ-FM, "The Cities 97." The aircheck is an example of the "Time and Temp" format. No talent, no personality, and definitely no Howard Stern here. This guy was lucky to be on the air at all. KTCR-FM was known for its revolving door for DJ's. "Sign on today, sign off today." I experienced the revolving door twice. When I was hired the second time, they must have forgotten who I was. The third time I left on my own. The studio presented a challenge for DJ's needing a restroom break. You needed to pick your records carefully, since the room was on another floor in a large building with a walk equal to about an eighth of a city block. Unfortunately, most country songs at the time were about 2:30 long. In addition to the collection of Twin Cities commercial and pirate radio airchecks on the pages of this web site, the RadioTapes web site has a great selection of Twin Cities Radio airchecks. A worthwhile site to visit for those interested in Twin Cities radio.